In this study, the fossil microfaunal composition of 28 Recent sediment samples from Lake İznik and 19 samples from Lake Sapanca was investigated. The presence of at least ten marine ostracod and 23 foraminifer species in the sediments of Lake İznik, and at least one marine ostracod and two foraminifer species in the sediments of Lake Sapanca confirm that these lakes must have been connected to the world ocean sometime during the late Quaternary. The most obvious former link between these lakes and the Mediterranean Sea would have been via the Marmara Sea with an eastward extension of the Gemlik and İzmit bays. The proximity of Lake Sapanca to the lower course of the Sakarya River, however, also supports earlier suggestions that there may have been a temporary connection with the Black Sea via this river valley. 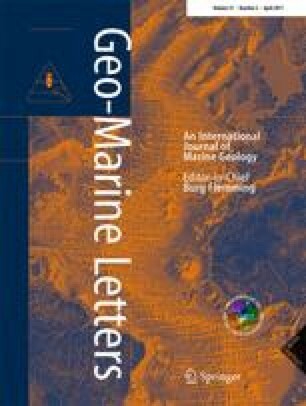 Whatever the case, the findings of this study clearly demonstrate that vertical tectonic movements need to be taken into account when reconstructing the late Quaternary sea-level history of this region. The online version of this article (doi: 10.1007/s00367-010-0216-9) contains supplementary material, which is available to authorized users. We are grateful to the Research Fund of İstanbul University; Grant 423/13092005, for supporting the project “Description of Hydrocarbon Sources in the Surface Sediments and Stratigraphy of the İznik Lake” coordinated by Prof. Kurultay Öztürk, in the course of which the İznik samples were collected. We also thank Prof. Hayrettin Koral for the tectonic evaluations relevant to this paper, as well as Mr. Murat Dündar and Mr. Hüsnü Öztürk (ASSAN Ar-Ge) for carrying out the SEM photography, and Prof. Fatma Gül Batuk for assistance in preparing the maps. Constructive review comments by Dr. M. Triantaphyllou, an anonymous referee, and the journal editors proved useful in improving the original manuscript.